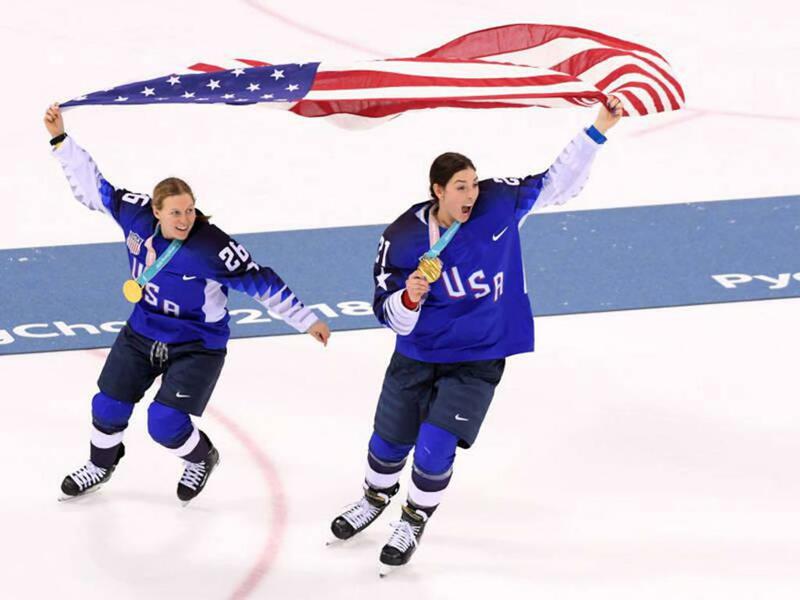 July 26, 2018– Kendall Coyne Schofield, the superstar forward from the gold medal-winning 2018 U.S. Olympic Team, has signed with the Minnesota Whitecaps of the NWHL for the 2018-19 season. With the U.S. National Team program, Coyne Schofield has played in two Olympics, six IIHF World Championships and eight Four Nations Cups. Over a combined 30 games at the World Championships, she has 18 goals and 24 assists for 42 points. As a senior at Northeastern in 2015-16, she scored 50 goals in 36 games and was the recipient of the game’s highest honor – the Patty Kazmaier Memorial Award. Over her remarkable 131-game collegiate career, Coyne Schofield scored 141 goals and added 108 assists for 249 points. She was previously a member of the Whitecaps in the 2016-17 season. The Chicago native joins her Olympic teammates, Hannah Brandt and Lee Stecklein, on the Whitecaps, who will play their first season in the NWHL at TRIA Rink – the satellite arena of the NHL’s Minnesota Wild. Asked what her message to fans would be, Coyne Schofield said, “Come watch us play – you won't regret it. In fact, you'll probably come back”! For more information of Coyne Schofield, see her official website at kendallcoyne.com.